Residents and businesses are full of rejoice in Miami Beach knowing that the proposal to ban alcohol is now been rejected. A proposal had been made to ban to ban the selling of liquor in Ocean Drive from 5:00 a.m. to 2:00 p.m. Many cafeterias, bars, and businesses would have seen harmed in their profit-making. Mainly because these places make an extremely amount of money during their weeknights, major part of their money comes from selling alcohol to customers. Businesses didn’t stay with their arms crossed knowing that this proposal could be implied and would have had a huge impact on their finances. 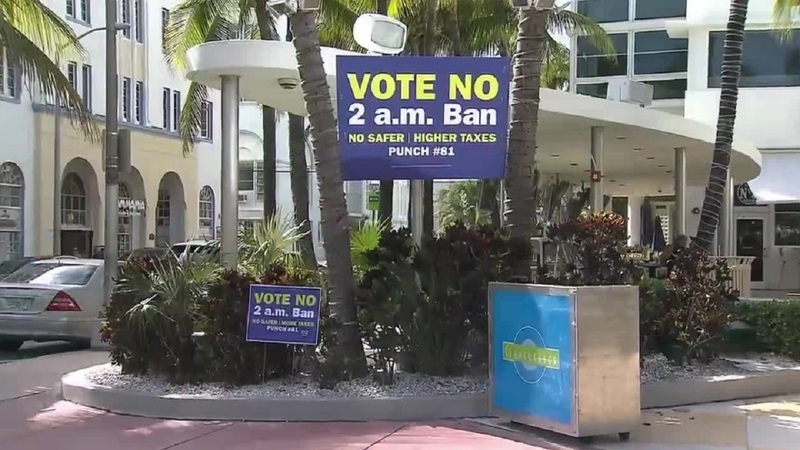 Places such as “Mangos” and ” Clevelander” started installing or nailing signs outside their businesses and posting on social media to vote “NO”. At the end, strong 65% had the majority vote.